I raced at LeMons up at Thunderhill Raceway this past weekend. More on that later. 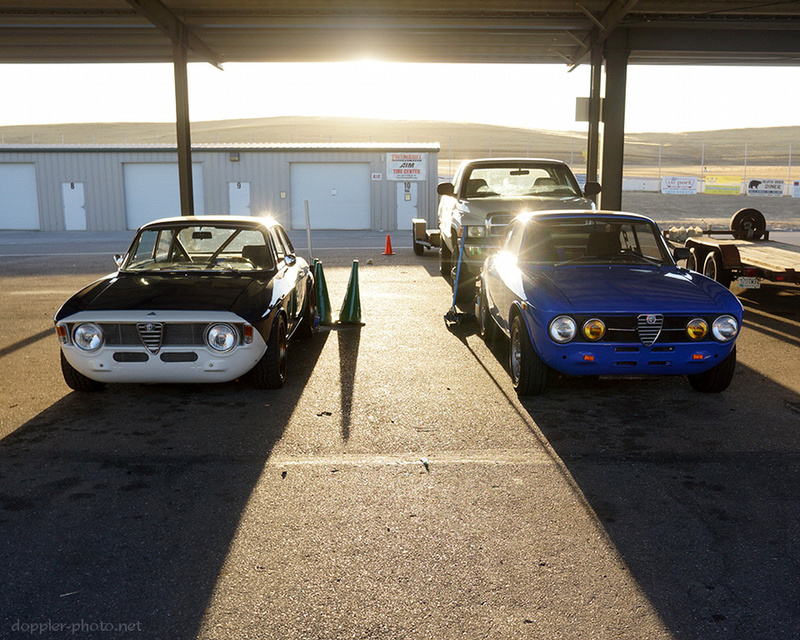 On our way out of the racetrack, my teammate Matt spotted a pair of his favorite Alfa Romeos parked side-by-side in the waning light of the sunset. I really like the warm tint and the long shadows, and of course the cars themselves are beautiful.